When my husband and I were first married and didn’t have much money I would often throw things together for meals. Sometimes these things were hits and others were misses. One of my favorite hits was simple spaghetti mixed with “butter”, garlic and parmesan. Not the good parmesan though, the stuff that comes in the green can and even at that it wasn’t Kraft. It was some generic version they sold at the commissary. Oh and that garlic was garlic powder, the at the time 50cent a bottle garlic powder. The butter well it was margarine. I remember eating it one day when my sister and her now ex-husband came over and he thought it was the the weirdest thing. Then again he was from Albuquerque, New Mexico so if it didn’t have green chiles it was weird. 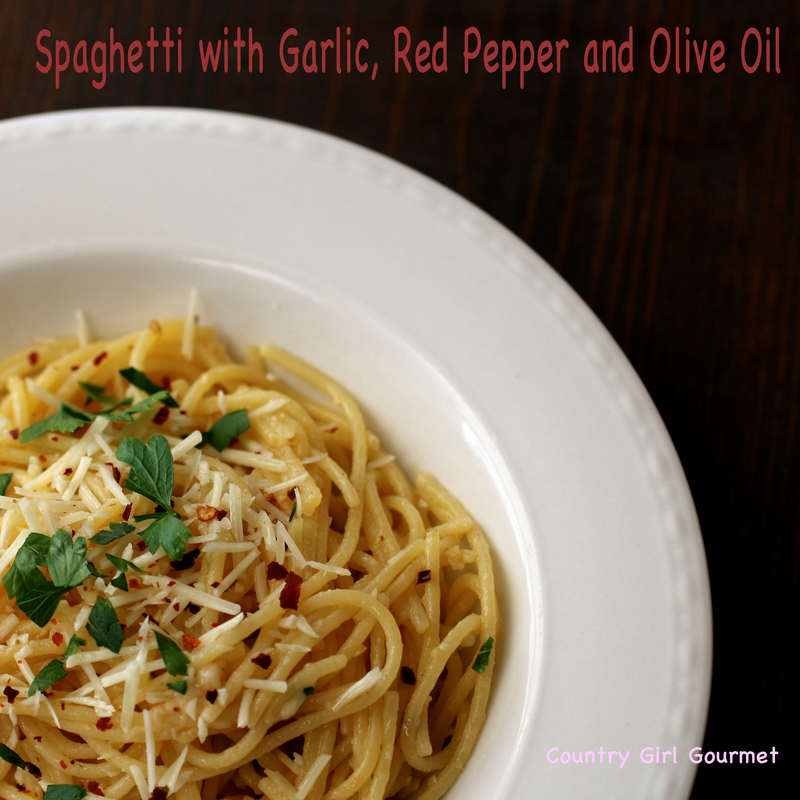 The simple spaghetti was something quick and easy I could put together and became comfort food. I even taught my oldest how to make it but now our ingredients are a little different. Now I use real butter, parmesan and garlic. While working with Barilla this month I was introduced to a even more grown up version of this simple dish and I was hooked. Heck, my whole family was to the point they were fighting over it. Thank goodness I can get gluten free pasta and Barilla makes a pretty good gluten free pasta so I can continue having this for a quick lunch or dinner. If you are in a pinch and looking for something tasty and quick and easy to make this is the recipe to try. Try for yourself, you will be happy you did. It may become one of your comfort food favorite dishes. Heat olive oil in a large skillet over medium heat. Add garlic, parsley and red pepper flakes; saute 2 to 3 minutes. Cook Plus® Thin Spaghetti according to package directions. Drain pasta, reserving 1/2 cup pasta water. Immediately add hot pasta to skillet. Stir in reserved pasta cooking water. Mix well. Add cheese and toss lightly. Transfer to a serving platter or bowl. It is delicious! I hope you enjoy it as much as we did.